Home News 6700 Model 3s Produced Last Week, Say Tesla Insiders. Implications? 6700 Model 3s Produced Last Week, Say Tesla Insiders. Implications? Insider information that reportedly came through Electrek shows that Tesla managed to produce 6,700 Model 3 units over the past 7 days. While that’s contrary to most other reports, which suggest a drop to below the 4,000 Model3s a week mark, this particular bit of news from Tesla insiders is intriguing for several reasons. First of all, this was the week Tesla dropped two exterior color options from the Design Studio on its website – Black Metallic and Silver Metallic. Tesla CEO Elon Musk said it was to simplify – and we presume, to speed up – production. That made sense because it would potentially increase the throughput in the paint shop. Second, Bloomberg’s Model 3 Tracker, which tracks official VIN registrations and social information thereof, could be off because Tesla registered a record number of VINs in early August but slowed down after that. The highest VIN now stands at well over 100,000, while the 100,000th Model 3 is yet to roll out of the factory. We’re assuming that this will happen sometime during the next fortnight. Tesla may have slowed down VIN registrations in September to allow production numbers to catch up. Third, if they did, in fact make 6,700 Model 3s in the past week and they sustain that level of production over the next two weeks, they could end up making more than 60,000 Model 3s in September, which is the number we originally estimated back in August. We’re still standing our ground on that estimate. Fourth, if enough investors are made aware of this encouraging piece of news and they buy it, we could see TSLA move above the $300 mark below which it has been languishing since the beginning of September. Tesla’s performance as a public company is inextricably tied to Model 3 numbers, whether it’s production, deliveries, new orders or potentially entering new markets. That’s what moves the stock, which is why news of 6,700 Model 3s being made over the past week is very significant. Moreover, the inside source reportedly said that over the past two days alone, there were around 2,300 Model 3s made. That’s a weekly run rate of more than 8000 cars a week if they hold steady at that level. 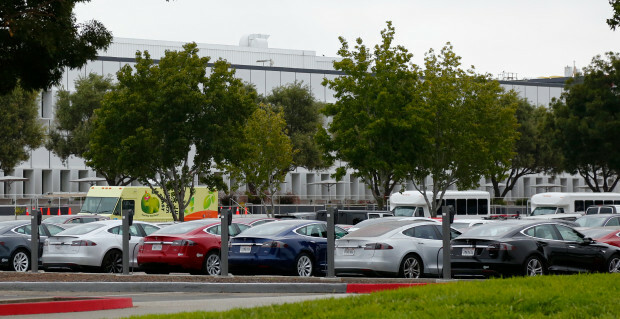 Analysts from at least two different investment companies who made visits to the Fremont and Nevada facilities have said that Tesla can easily hit 7,000 to 8,000 Model 3s a week in a short amount of time and with minimal additional investment. Has that time finally come? If that’s true, then we’re looking at a very healthy production number for the Model 3 in September, and a positive outlook for Tesla stock price as we enter the final quarter of the fiscal year 2018.